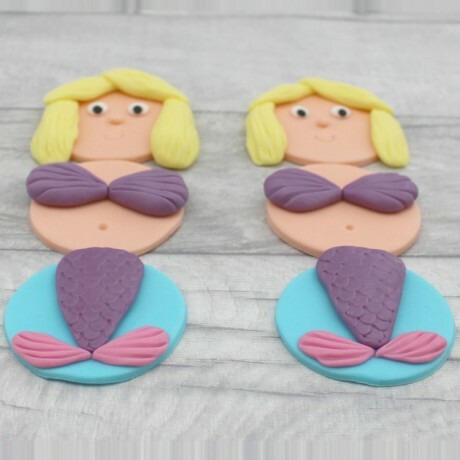 Stunning handmade sugarpaste fondant Mermaid Cupcake Toppers that you can use to decorate your own cupcakes. You can choose the colour of the tails/shells from the options available, and also how many toppers you would like. 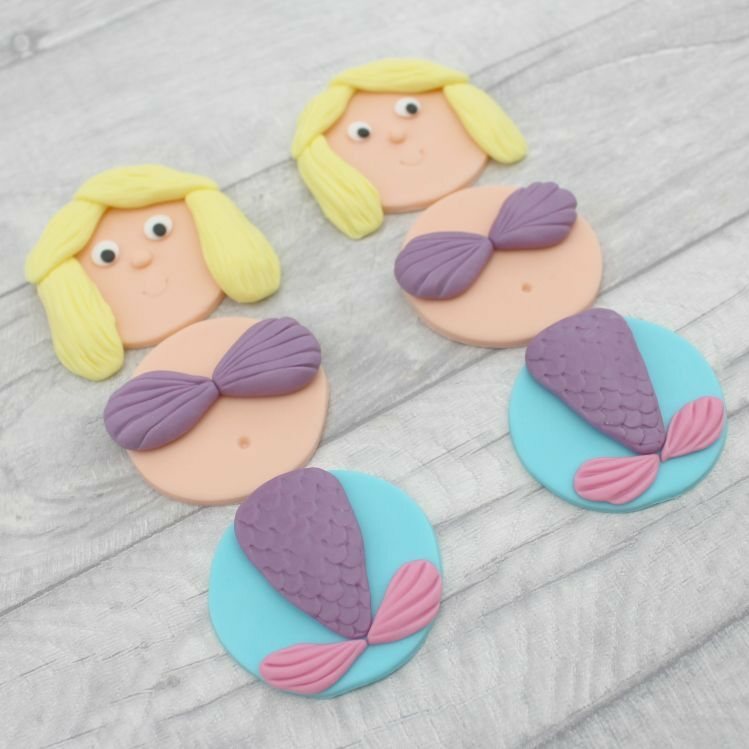 Then for each additional 12 cupcake toppers, you will receive 4 of each design. 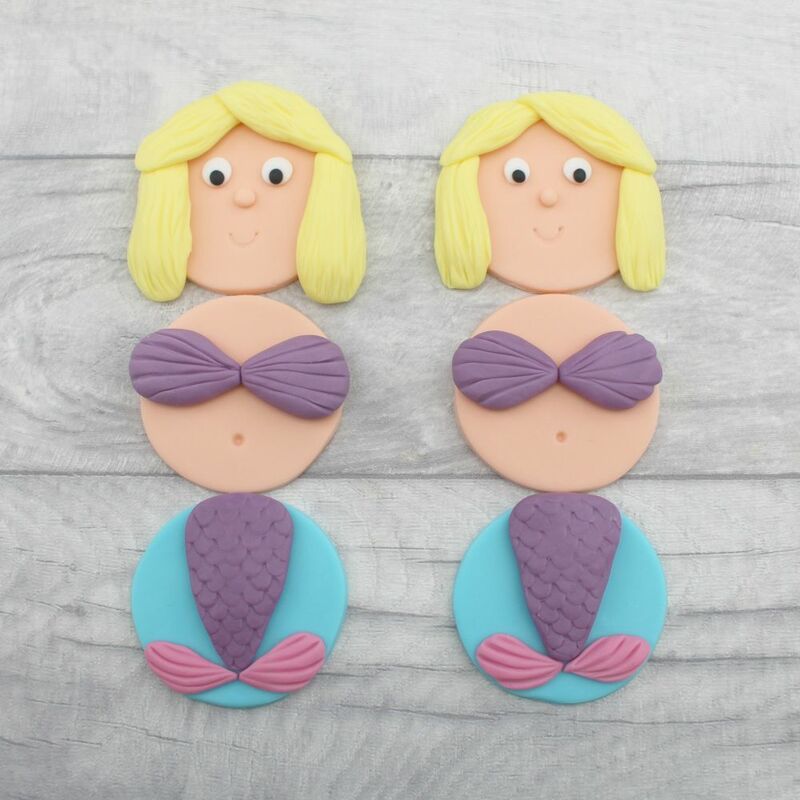 Beautiful and unique, these topper decorations give the perfect finishing touch to your celebration cakes. Storage & shelf life: The toppers will keep for several months as long as they are kept dry and out of direct sunlight. They must NOT be stored in the fridge, freezer, or in a plastic lidded box. They should be stored in a cardboard lidded box, away from humidity.